So you have decided to take the plunge a home-based business. Good for you! It will be nice to be able to wake up every day, grab a cup of coffee and walk into your office. No more rush hour, no more cubicle, and a chance to make it on your own. Sounds great doesn’t it? But there is one small snag before you can open shop. You need to know just what sort of business you should be running. There are a myriad of opportunities for your small business requiring very little initial investment. If you are stumped for business ideas, here are ten quick ideas for you to consider. If you are already a professional, but want to get out on your own, this is often the best way to go. Architects, air conditioning repairmen, computer professionals, and plumbers are all in demand. You simply need to start up your own little section of these burgeoning fields. All it takes is the required tools and a willingness to put your name out there. Advertise in the paper, on the Internet, and in the yellow pages. If you are a landscape designer, you probably have a drafting board already. If you are a motorcycle mechanic, it is a safe bet that you already have the tools you need. Make them go to work for you in your own business. If you enjoy fixing things around the house, you can easily parlay this into self-employment. Not everybody knows how to patch drywall, grout a ceramic floor, or install a new countertop. Chances are, most people don’t even want to know. However, people do want these things done. And you are just the person to do it. If you have worked on houses before, now is your chance to make it pay off. Advertise your reasonably priced services in the newspaper and the yellow pages and people will call. The best part is that, when you have done a great job at a good price, your customers will refer you to their friends. Word of mouth is very big for those who work on houses. You already own a lawn mower. You have a hedge trimmer and an edger. You have a large collection of lawn and garden bags. You have a pickup truck that can haul them around. And you like fresh air, sunshine, and working in the yard. Well, now you can get plenty of all three. In case you hadn’t noticed, there are many people who do not enjoy mowing their lawns. Make their day by offering your services to them. Do some market research and figure out how much you should charge for your services. Get some quotes for your yard from other landscape companies. Figure out the area of your yard and translate that into the price you should charge. Then, you are ready to start. Put fliers on the neighborhood door handles and wait for the calls. In case you have been in, say, a small plastic bubble on the bottom of the ocean for the last fifteen years or so, you may want to know that computer work is in high demand. For all the talk of the dot-com bust, the shrinking technology sector and outsourcing, computer professionals are in high demand. If you know how to program, how to repair or upgrade a PC, or how to configure a network, you can turn your knowledge into your own home-based business. You already get a kick out of repairing electronics, refinishing furniture, or rebuilding Chevy small-block engines. You have all the tools that any good repairman would own. You can turn your hobby into money by starting your own small business. There are a lot of people out there who want their toasters fixed, their vintage record player working again, or their car’s body repaired for a decent price. If you can do any of these things, you can put yourself on the map with an ad in the paper and the yellow pages. By working out of your home, you can keep your overhead down and your profit high. Be careful though. If you are doing something such as automotive repair, your neighbors won’t be happy if there is a line-up of wrecked cars in your driveway. Check your zoning codes on work of this nature. However, if you are working on smaller items, even appliances, you can easily do this work without the neighbors being too much the wiser. So start advertising and make your small business go! If you have a special skill, such as playing the piano, playing tennis, dancing, or sewing, you can give lessons from your home. There are plenty of boys and girls, and even adults, who want to learn to swim, type, or speak Spanish. So translate your abilities into some dinero. You have skills that other people want to learn. They are a great place to start a home-based business. Likewise, if you are a former teacher who wants to see the faces of young students again, tutoring may be a rewarding pastime. If you can, and if you are allowed, talk to your former teaching colleagues to see if they have any students who are interested in receiving extra tutoring. Another option for a home-based business is a cleaning service. You already clean your own home, why not help somebody else with theirs? With a few of those household cleaners and chemicals, you can start up a nice little income. You need to be thorough, detailed, and willing to scrub everything to a shine. But with some effort, time, and patience this business opportunity can quickly pay dividends. If you happen to enjoy candle-making, soap-making, or designing teddy bears and decorative hats, you can make start up a small business selling your creations. Be prepared, this will probably not start out and be very lucrative. However, with some time and patience and a few church sales and flea market visits, your skills will improve, your eye for the market will sharpen and you can sell many of your original designs. The work can be fun, and some extra money won’t hurt either. Another business opportunity that may take your fancy is in the pursuit of the arts. Whether you happen to paint, perform graphic design, take photographs, illustrate, or write calligraphy, you can start a business that caters to the needs of those who want something not merely done, but done prettily. Wedding invitations require a calligrapher and photographers. Books need illustrators. Businesses need logos that are attractive to the eye. Living rooms can be livened up with a painting. You can use your special, unusual skills and turn a leisurely pursuit into a home-based business. If you happen to enjoy writing, you can turn your writing and proofreading skills into your own cottage industry. Perhaps you can start writing articles and send them to the magazines you enjoy. Or you can spend your time translating foreign language texts. As well, good proofreaders, book indexers, and researchers are needed by both writers and publishing companies. Sell your skills in these areas to people who need this sort of work done. As well, if you are a writer, you may even want to sell your typing prowess to those folks out there who can’t bang out 40-80 words a minute at the keyboard. Perhaps the local high school or university could bring some business your way. These are just a few of the business opportunities available to those who wish to work from home. In fact, the possibilities are almost endless. You can get tons more information from our website. You could buy and sell antiques, provide day care to working mothers, or a dog kennel for people who travel. You could sell house-painting services, wedding cakes, patent searching, permit filing, and event planning. The possibilities are endless. Find the home-based business that is right for you and you will find that it can be both rewarding a lucrative. See what people need, what people want, and what they are willing to pay for it. Then, the rest is up to you! Have a way with words? If you dream of writing for a living, but feel stifled in your everyday job, there are some top home based businesses for writers that you should consider. The demand for good writing is very high, so finding one of the top home based businesses for writers that fits your needs just takes a little digging. One of the five top home based businesses for writers is being an advertising writer. If you have a flair for writing that sells, then being a copywriter may be your niche. Advertising agencies, private companies, non-profit agencies and more are all looking for someone to sell their products and services through ad copy, making copywriting one of the top home based businesses for writers. Now let’s be honest, way too many people believe the Internet is a place to become rich very quickly without any effort or sweat. They think that once you publish a web site, that you have a home business. Please do not expect riches and results from an online business started with that thought approach. Home business owners giving up or suffocating are clear indications that they did not read this article. But there is good news, and the good news is that starting an online business is really worth every second if approached from the right angle and if you got what it takes to do it right. Imagine being your own boss as your first bonus, and then use your intelligence and motivation to make it work. The Time factor (lack of it) will always be a issue when creating your business, given the fact we all have jobs, families and all kind of distractions. But that easily solved. Manage your time dedicated to your business simply by using only the proven techniques, strategies, and today’s technology. Don’t go round the world for a shortcut. Can you imagine what it would be like to be able to sit down at your computer and find your home business already built in a box? All you have to do is activate it. On the internet you can use anything from content sites and article sites, and you can easily find ready to go e-books, all kinds of software, online business products and even complete web sites, ready to be activated by you to give you the opportunity to build a home business with. However, they don’t include the marketing techniques and strategies that any home business badly requires. Marketing is a broad business subject that encompasses a range of activities including advertising, public relations, sales, and promotions. Generally, you will find that people tend confuse sales with marketing, when in fact the two are quite different. Marketing is all about getting a product or service into the market, promoting it, influencing behavior, and encouraging sales turnover. Sales, quite distinctly, is the actual transaction of getting a product or service into the hands of your customers. As you can probably gather, neither can be successful without the other. With so many messages being propelled towards all of us these days, it is more critical than ever for a business to get their product noticed. This means marketers have evolved to being creative. Marketing is not an exact science and managers who know little about it are afraid that the marketing staff within their firm is often wasting valuable money. The truth is that marketing is an investment that always pays off; it just may come back in ways that are not necessarily measurable. So even though one campaign may bring moderate results, another will bring astonishing profits. Take a tour of sites like Profits Yesterday, Surefire Wealth, and Simpleology. Here you will find many ideas and solutions for your home business. But none will be successful overnight. Success will come to you, but it will take considerable amount of effort, motivation, and determination to achieve results. And it all starts with YOU and a great business idea. Do not under estimate your most valuable asset. The skill and knowledge you already have. Online Business takes passion and patience and the chances are that through your job got you many years of experience that you can easily share for profit. Get a copy of the book “Make Your Knowledge Sell”, and see for yourself just how your knowledge can make lots of money. Many products and services which are killers for a home business are already out there and affiliate sales already exist. Take advantage of this by joining sites that sell content and ideas you can modify to suit your specific business needs. These days you can start your home based business in a few hours, but above most things, have a very good marketing plan before you start. Then use all information available on content sites and article sites to get the job done right. But my most valuable advice to you in all cases is, make an ACTION PLAN because without it you are looking at the fastest way for your home business to fail. “Crawl before walk” is a well known phrase, and also the answer for faster home business profits. 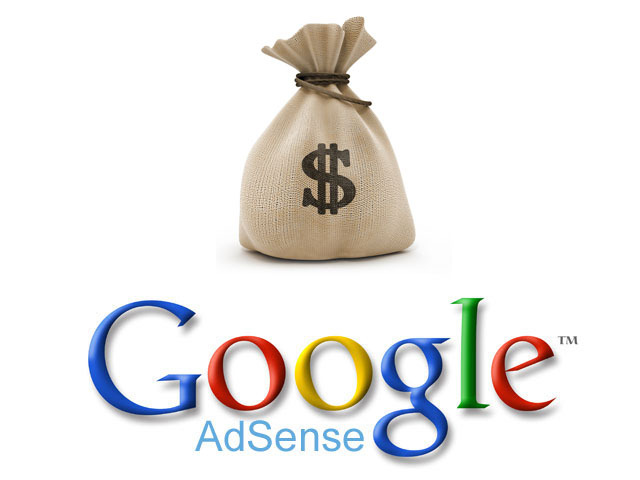 Ok, you want to make huge income from internet then just start your adsense empire, it’s a very amazing program started by a world’s major search engine, where advertiser advertise through google , google place ads on your site then after every click you get paid for showing relevant ads on your websites. Now confused that how to start your online business, or adsense empire, don’t worry we have the solution, we have reviewed this site, many members of this site have give us their opinion about their membership experience & you know what we found? They are well satisfied from their package and online tools to work at home, they are giving 425 pre built adsense ready sites or adsense websites to make money from home, With many free ebooks they are providing free for their members. Just go to google and search for “adsenselover” & you will find them. They are the best for work at home opportunity provider. They are No 1 online jobs provider and make money at home opportunity work provider. Income Type #1 or Leveraged Income, is a little better than Linear Income, but still not that great, because your income is based on the efforts of those who earn linear income. This is where you can get paid from the work of others, like being a small business owner or a manager, however, leveraged income does not offer real security, because linear income employees, can quit, find a higher paying job or start their own competing business. Income Type #2 or Linear Income, is income generated by working at a job. When you work, you get paid. When you do not work, you do not get paid. This is how most people live their lives and why those who only work for Linear Income, can never stop working. Income Type #3 or Passive Residual Income is the income that allows ordinary people to achieve extraordinary success in a Home Based Business, because every distributor has the same exact opportunity to gain. This means that anyone, regardless of where they live, how old they are, or what their experience is, can earn as much or as little as they like, based on their own commitment and effort. Corporate icons are toppling daily, massive job terminations and pension defaults are commonplace and globalism is in full swing. There has truly never been a better time to be self-employed or a worse time to be faithfully employed. Airlines are experiencing turbulence financially. GM & Ford are moving toward bankruptcy and jobs are targeted for rightsizing, downsizing, and outsourcing. If you take a new job today, in four years the statistics say that you’ll be jobless again. So much for job security in the 21st Century! Indeed there has been a sea of change, and the Silent Revolution, whereby a new Home Based Business is started every 11 seconds, in the U.S. alone, is in full swing. Success for a work at home business will be realized when you have the work at home business up and running while analyzing for things that actually don’t work and should be removed. This move will refine the workload according to things that matter. You can also opt to divert answering customer emails that you may receive to outsourcing firms who will handle it for you. Eventually, you can move on to another project or travel the world for that matter because of the success of your work at home business.